The obvious question that followed, “Why is it famous?” My brother wasn’t quite sure, so we took “Bonus Nerd Trip” to this Romanesque-style Texas landmark with connections to presidents, governors and quite a few ghosts! 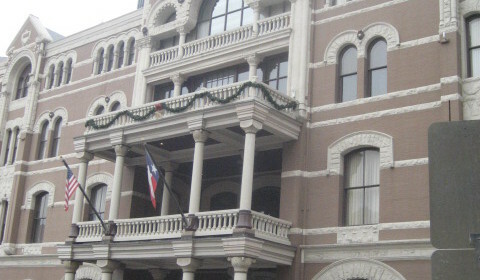 Texas cattle baron Jesse Driskill built the hotel in 1886 at an estimated cost of $400,000. 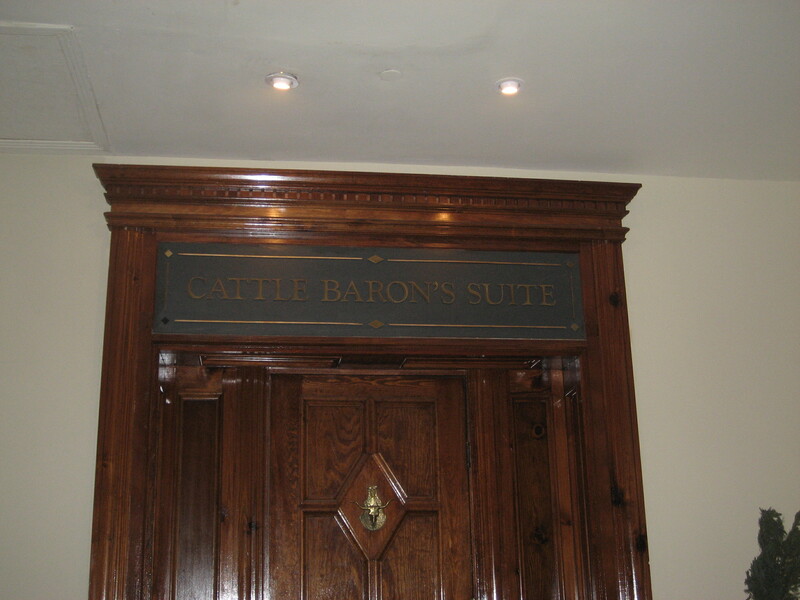 There is even a “Cattle Baron’s Suite,” which reminded me of the “Cattle Barons’ Ball” on the old Dallas TV show! And how’s this for Wild West lore? 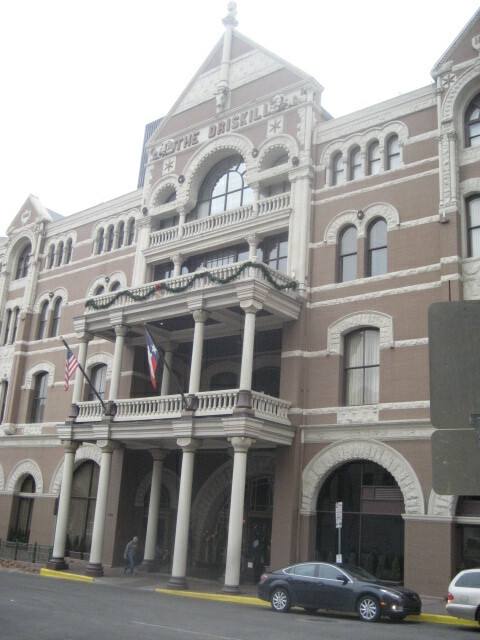 There is apparently a legend that Driskill lost his hotel to his brother-in-law in a poker game. We were visiting around Christmas, so the grand lobby was decked out with a huge two-story tree. And, next to the front desk, there is also a really cool old vault! 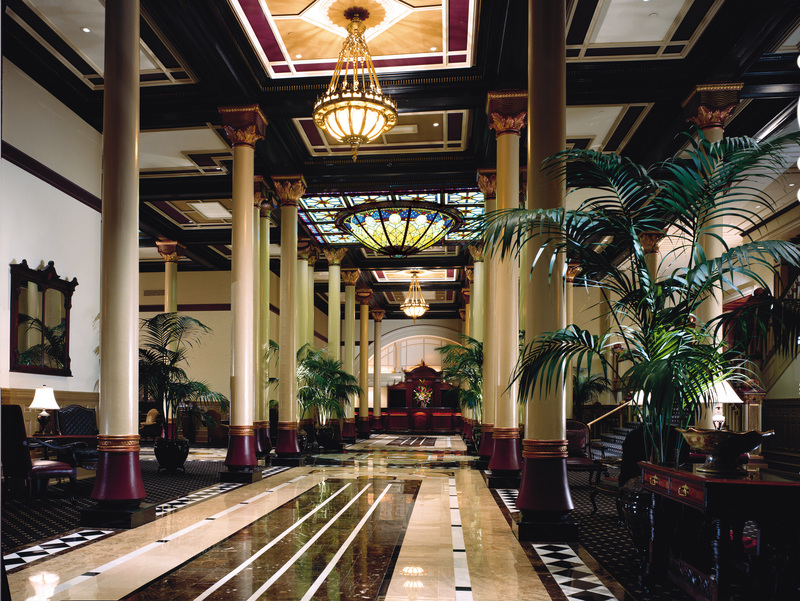 The hotel has many connections to President Lyndon Johnson who gathered supporters at the Driskill to await returns for his senatorial, vice presidential and presidential elections (LBJ and Lady Bird also had their first date here). According to the hotel’s website, the facility served as headquarters for the White House press corps during the LBJ era. (If you want to read more, the hotel’s website has an interactive timeline). There are also connections to many Texas governors, including many an inaugural ball (it is located in the state capital, after all). The hotel has some amazing decor, flashbacks to a gilded age. 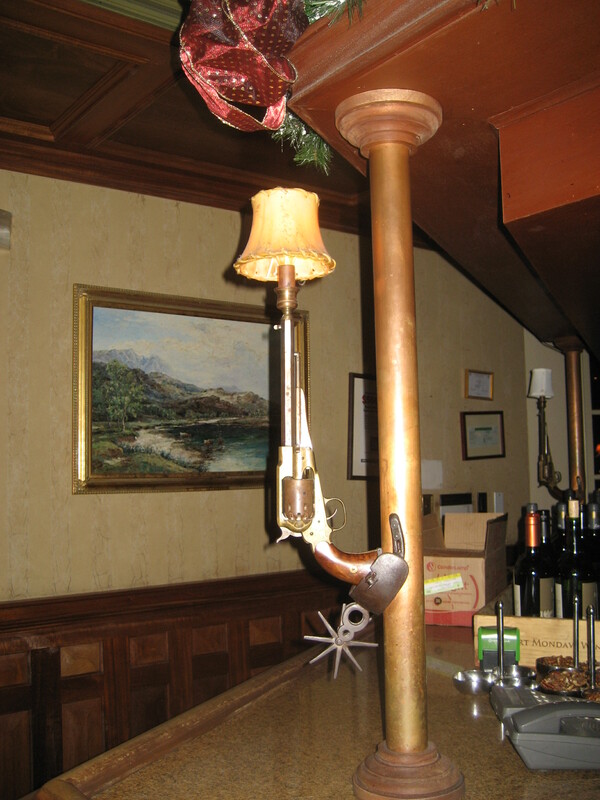 The details are fantastic, such as this amazing light fixture. 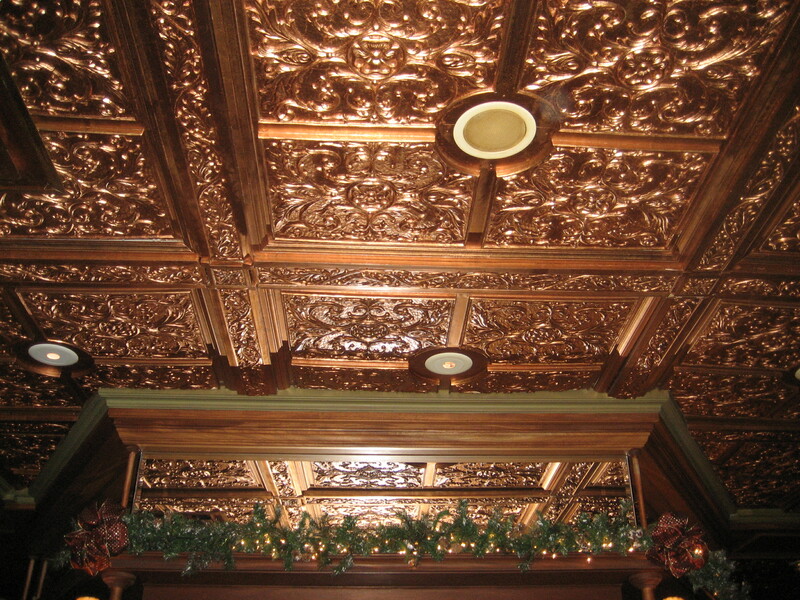 After touring the lobby, we stopped for a drink in the hotel bar where we found more fun features, such as this copper ceiling and pistol light sconces! 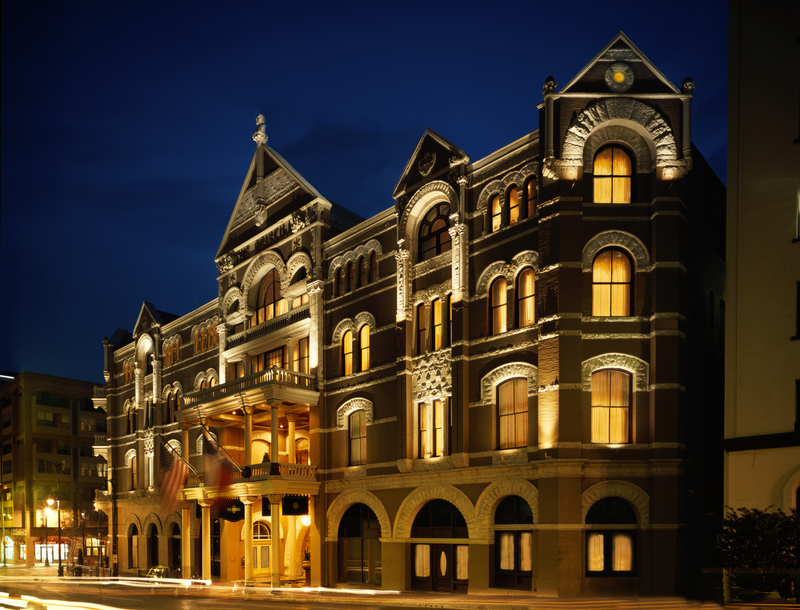 The Driskill is also described as one of the most haunted hotels in the United States. Our server gave us some ghostly details, including a story of a state senator’s 4-year-old daughter who tumbled to her death down the grand staircase. This little girl is said to haunt many parts of the hotel, including the women’s bathroom near the bar, which had me a little spooked when I had to stop there. 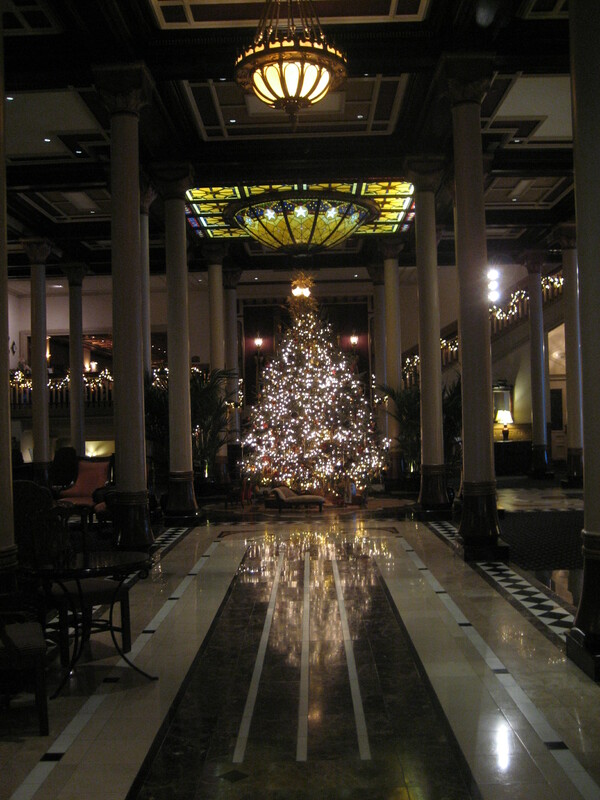 In the next post, I will tell you about my “ghostly encounter” in the Driskill Hotel bathroom. 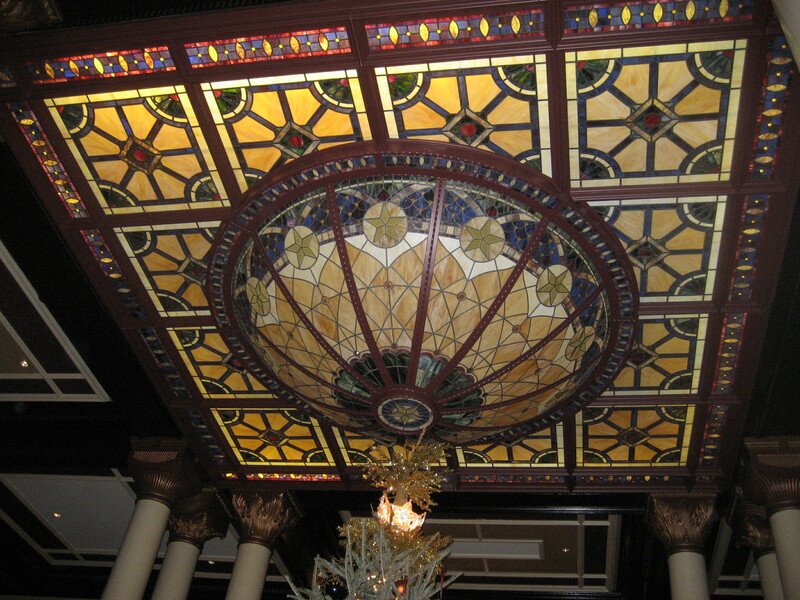 I leave you with more pictures of the Driskill, courtesy of downloadable photos from the hotel’s site, and you can see more Driskill details on the “On the Map” page. 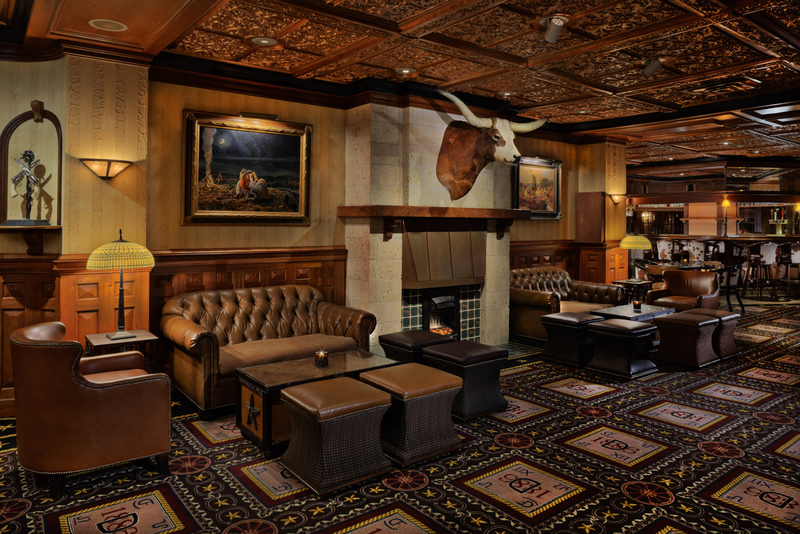 Of course the Driskill bar has a Texas longhorn. Wow! What a beautiful place! What a treat to stop by! Thanks. It is a great old hotel, I love to discover places like that. If you can’t stay there, you should definitely stop by for a drink at least! I don’t know about a particular room number, but I think they have many ghosts. I am not sure if I am up for staying there! I’m planning a trip to Austin in the near future. I’ll definitely look into staying there. Looks amazing. It's Abe Lincoln like you've never seen him. See what we uncovered about the animatronic Abe Lincoln at Walt Disney World. Plus, we've got a nerd's eye view of the famous Hall of Presidents. Princeton Cemetery was once called the "Westminster Abbey of the United States" due to the number of prominent persons buried there. From an American president to a participant in one of the world's most famous duels, see what we discovered on these hallowed grounds.